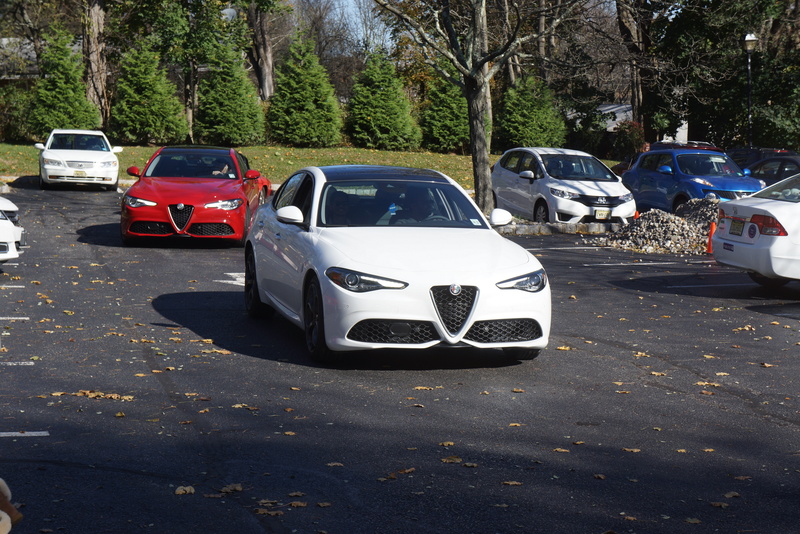 On Saturday, November 11, 2017, the New Jersey chapter of the Alfa Romeo Owner’s Club (AROC) held its Fall Foliage Driving Tour, starting at Fullerton Alfa Romeo in Bridgewater, and ending at Duke Farms in Hillsborough. The day dawned sunny but quite cold, with sunrise temps below freezing. The wind, which had been a factor the previous day, was all but nonexistent, which made the cold more tolerable. The thermometer moderated as the day progressed, and it turned out to be a beautiful day for a driving tour. 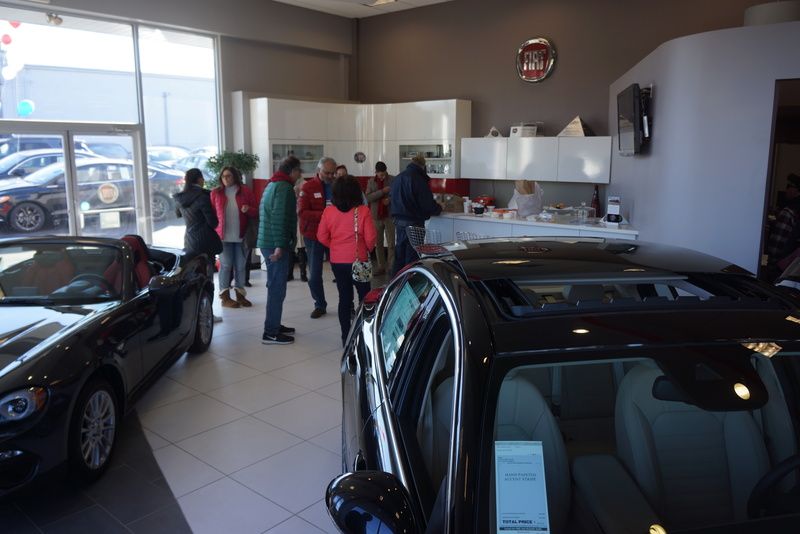 The dealer did a great job hosting us in the a.m., with plenty of coffee, bagels, and other breakfast treats available. 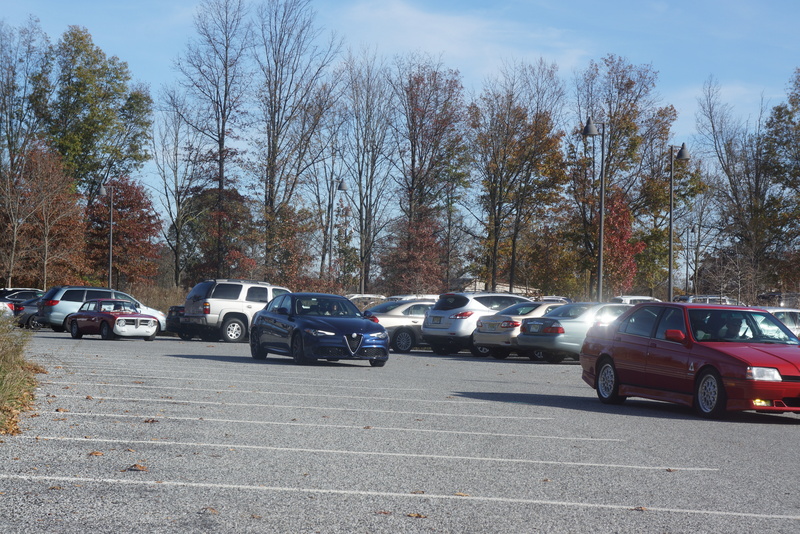 Early arrivals were there before 9:30, and during the subsequent hour, 17 cars and close to 30 attendees streamed in. 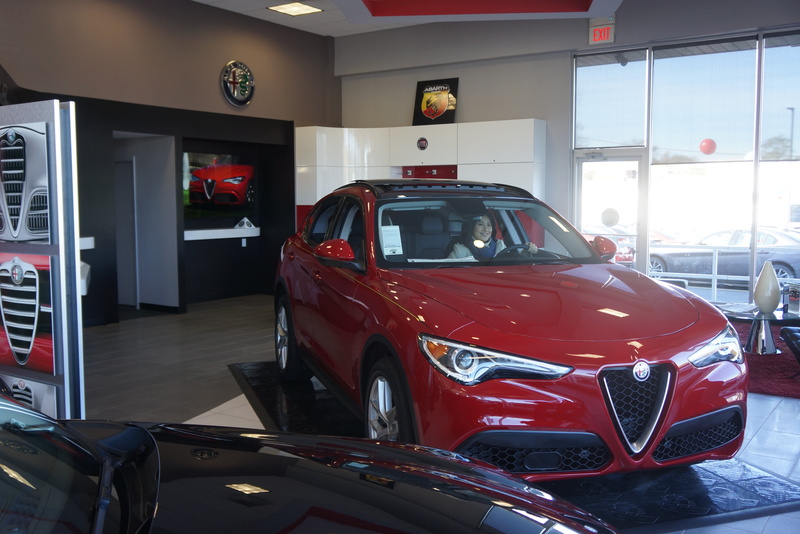 While there, we enjoyed alternating our gazes between the new Giulia sedans & Stelvio SUVs, and the classic Alfas parked outside. After a brief driver’s meeting, we were off and running. Our first leg had us heading north/northwest, through Oldwick and Long Valley. After an hour on the road, we arrived at our planned rest stop in Chester NJ. The intent was to give participants a chance to wander the streets of this quaint town, filled with antique shops, bakeries, and the like. 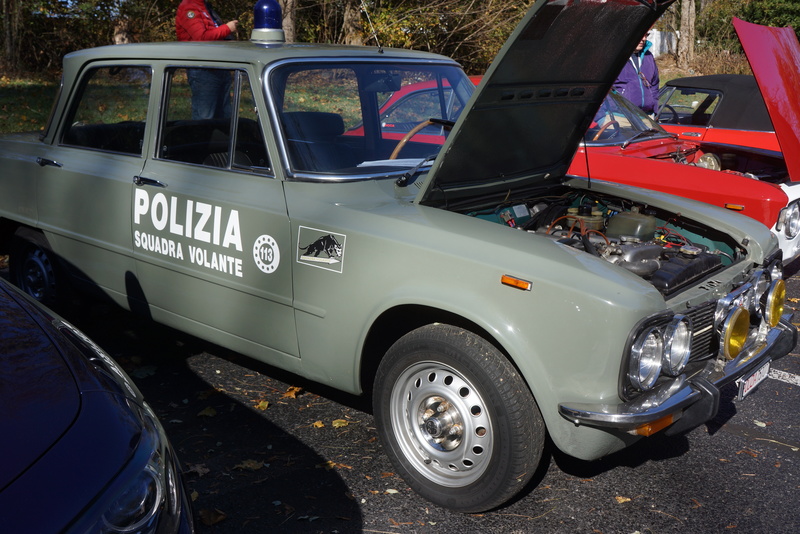 But true to the Italian spirit, almost everyone stayed in the parking lot, hovered around our Milanese metal, and swapped stories (mostly lies about horsepower). By 12:30, the second leg of the drive began, and we were on the road again, now headed back south. 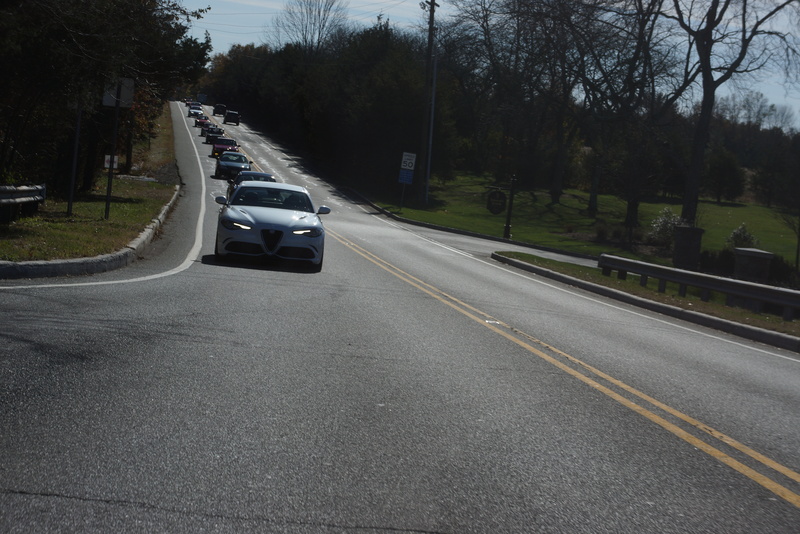 We briefly doubled back on Lamington Road (Route 523), then turned south/southeast, through Whitehouse Station and Readington. 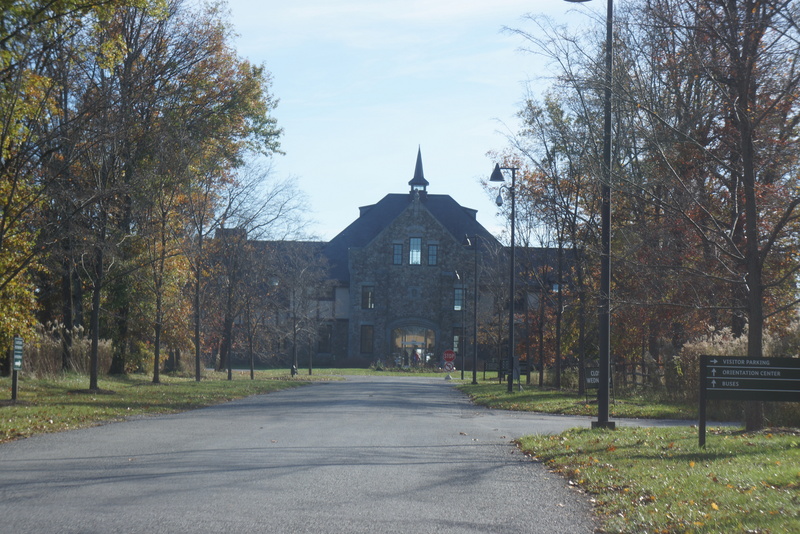 We arrived at Duke Farms exactly at 1:30, which was a good thing, as our catered luncheon was scheduled to start at that time. By complete coincidence, the second leg was also an hour’s length. 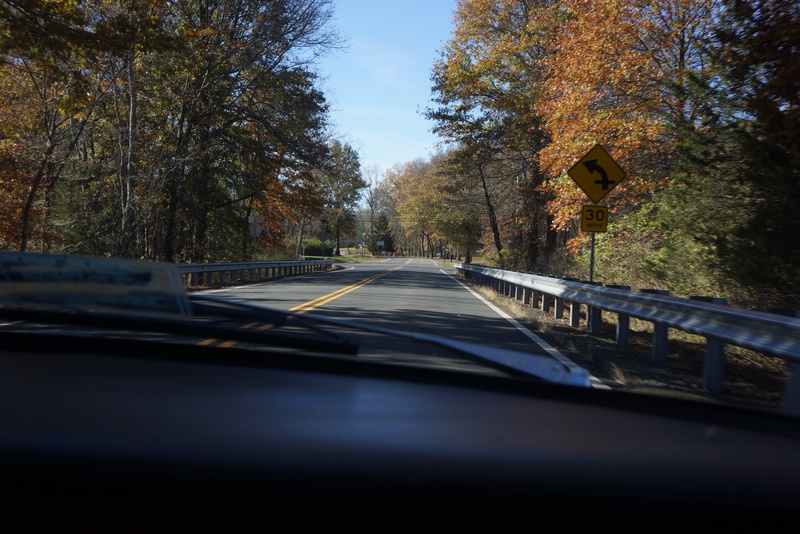 Both drives were blessed with relatively light traffic, colorful autumnal leaves, lots of sunshine, and no breakdowns. Duke Farms is the property formerly owned by tobacco heiress Doris Duke, and it has quite the history. As an aside to this driving tour blog post, if you’re ever in the area, it’s worth stopping by. 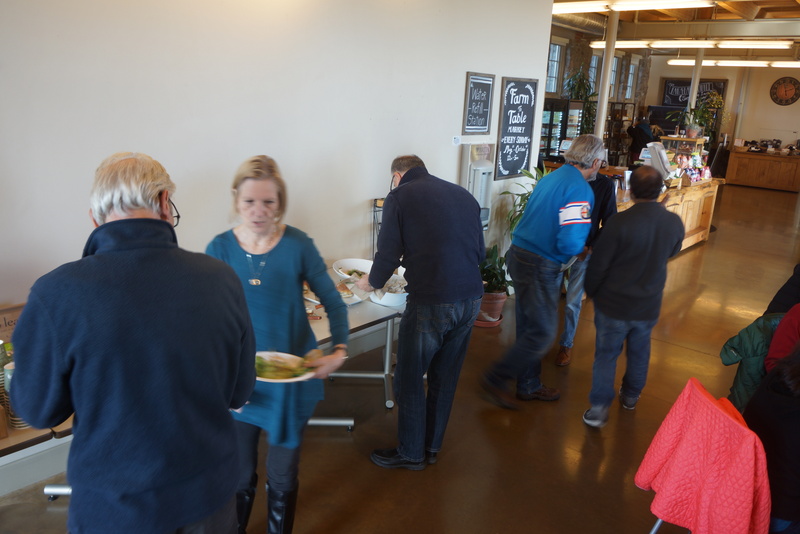 The café staff, led by Debbie, went overboard with our catered meal. We walked in to find a smorgasbord of sandwiches, wraps, salads, fruit, plus cookies and coffee. 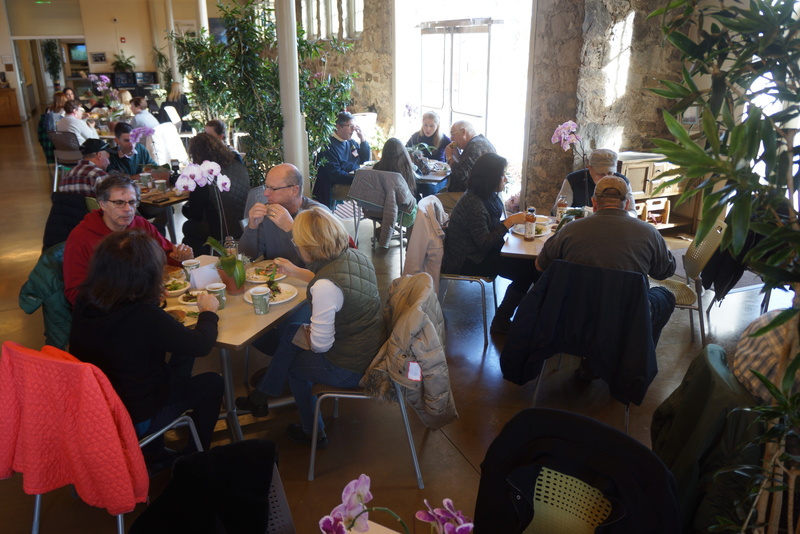 A section of the dining room was reserved for us, and we continued to catch up with old friends and/or make new ones, all while stuffing our faces. We love to drive, we love to talk, we love to eat! Our chapter president, Enrico, declared the event a success, and there was widespread agreement among the chapter members. Based on today’s turnout, we are all counting on AROC’s NJ Chapter to hold more such events in 2018. A ’67 GT 1300 Jr. 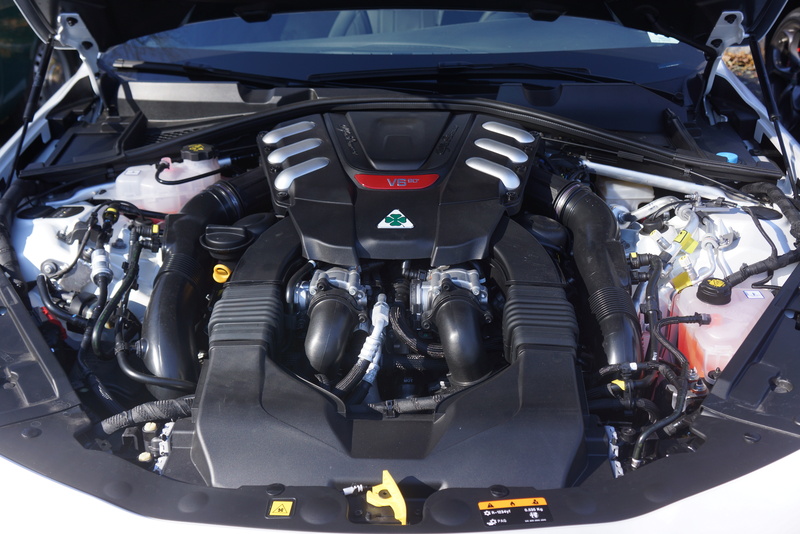 The original name of the company we know today as “Alfa Romeo” was A.L.F.A., which is an acronym. In Italian, it stands for Anonima Lombarda Fabbrica Automobili, which translates as “Anonymous Lombardy (Region) Manufacturer (of) Automobiles”. During World War I, an industrialist named Nicola Romeo took over control of A.L.F.A., which was then in liquidation. 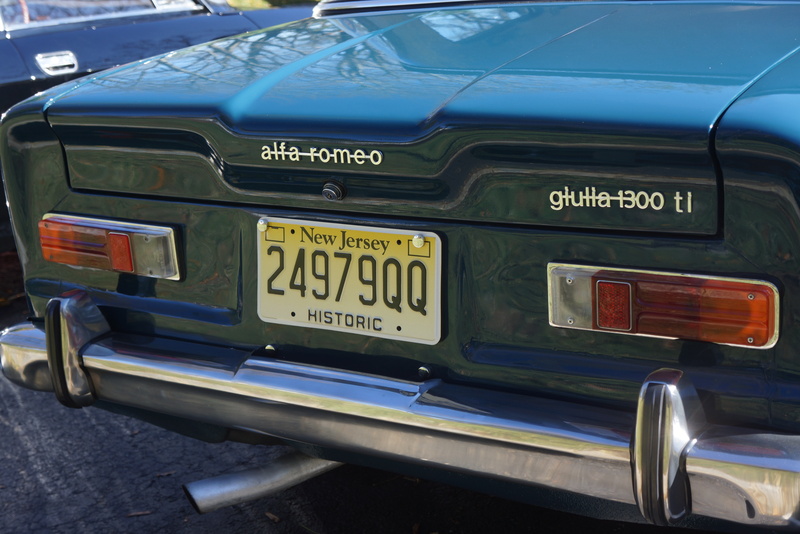 He immodestly changed the name of the company to Alfa Romeo, with “Alfa” no longer an acronym. A recession during the 1920’s forced Romeo out of the company, but the name change stayed. None of this stops people from continuing to spell the car name as “Alpha” (as if the car were Greek!). The AACA (Antique Automobile Club of America) Museum in Hershey PA has both permanent and temporary automotive exhibits. 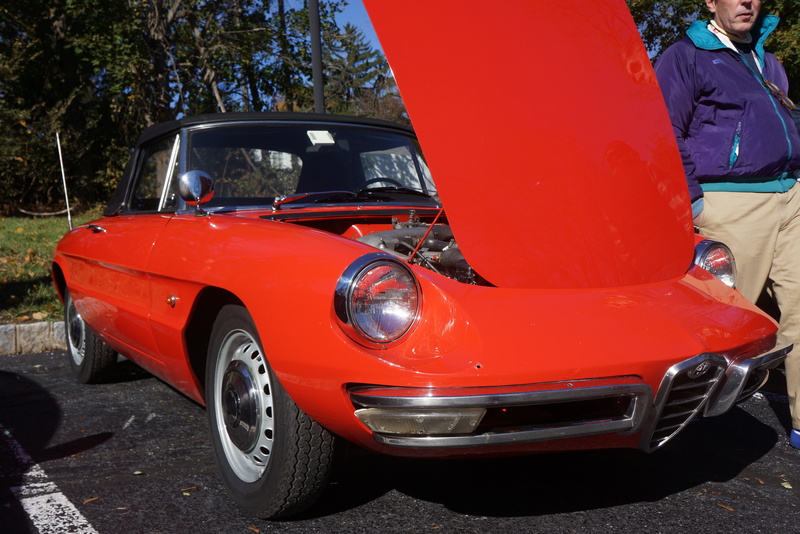 In November of 2016, a 5-month long show was launched there, entitled Amore della Strada (“Love of the Road”), a tribute to Italian machinery of both the 4-wheel and 2-wheel varieties. 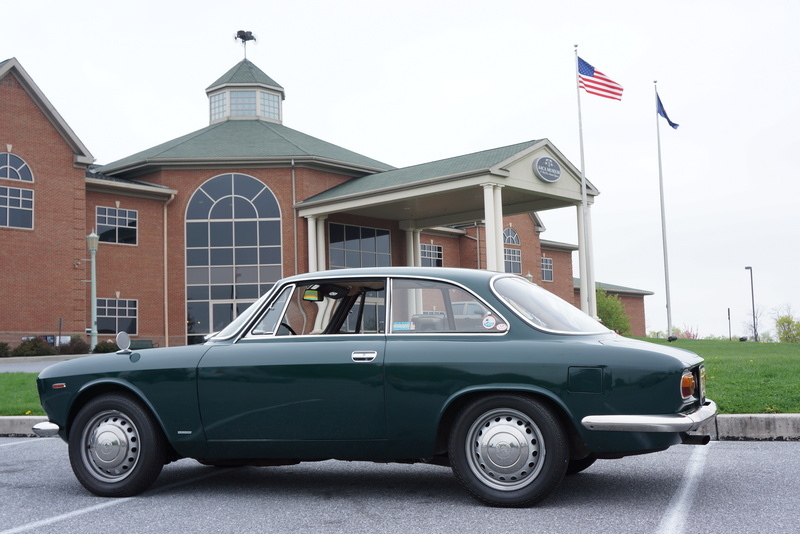 I was humbled to have my 1967 Alfa Romeo chosen as one of only about 20 cars for the exhibit. 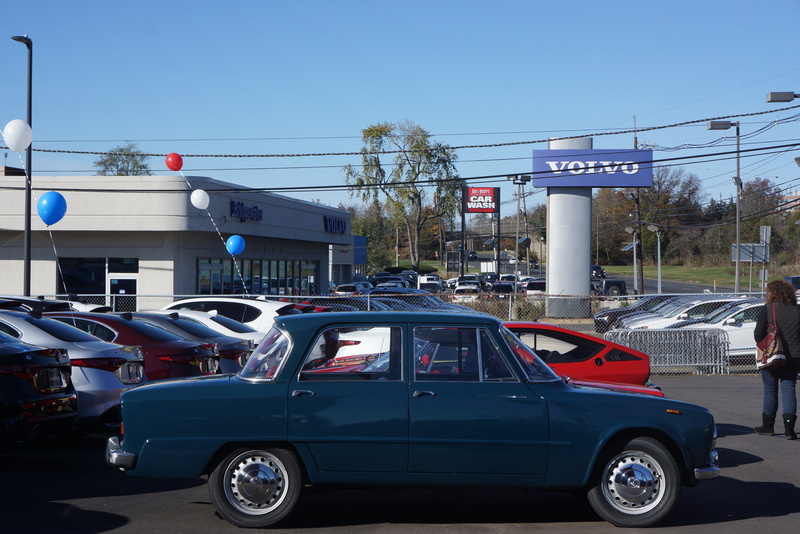 Aside from the honor of having your vehicle on display for the public to admire, there are the logistical challenges of getting the car there, and getting the car home. All transportation arrangements are the sole responsibility of the vehicle owner. 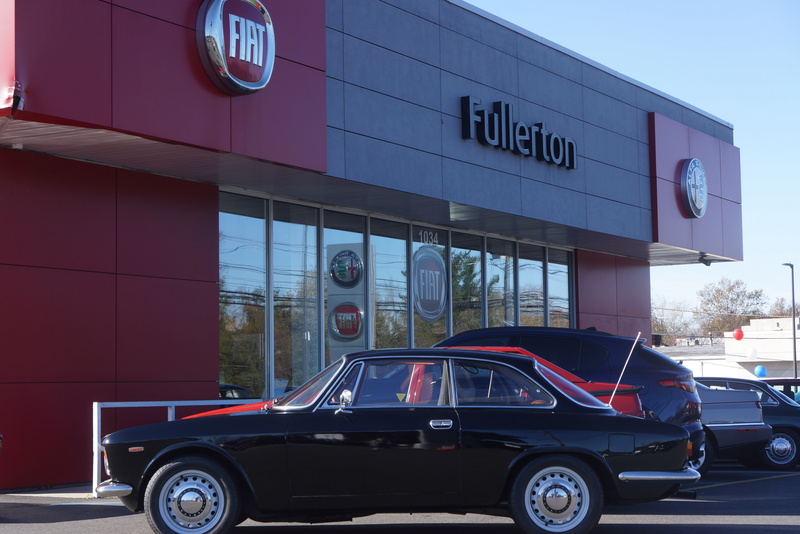 The Alfa poses in front of its temporary home. 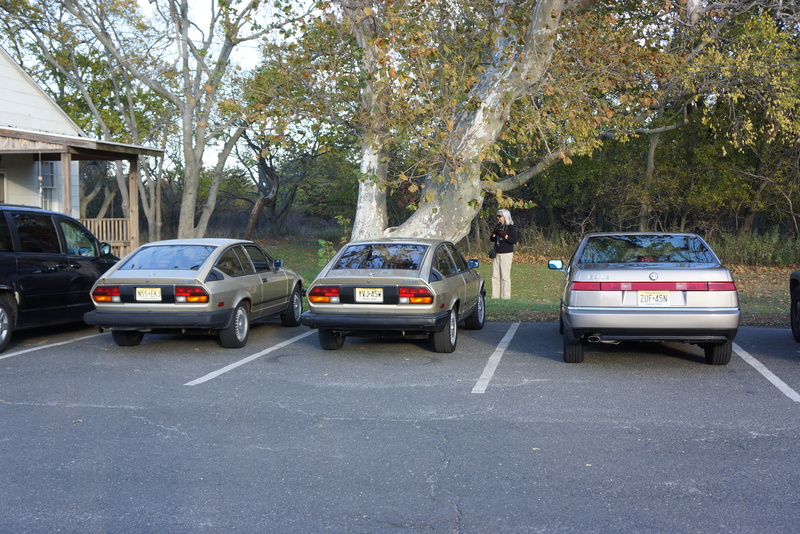 Bringing the car to them was easy, because my wife and I decided to spend the weekend in Hershey. 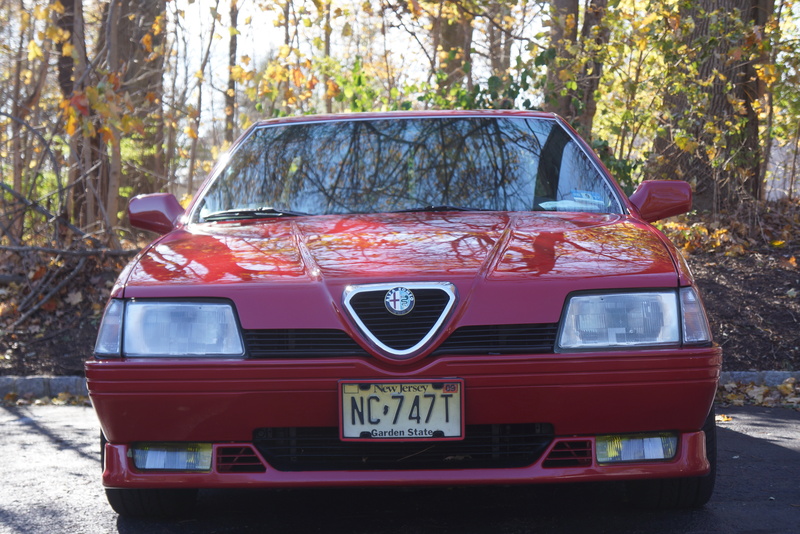 The Alfa made the trek without incident (with the driver thankful that there was no early snow). My wife followed in her modern iron, so getting home was simple. I knew from the start that the museum exhibit was scheduled to end the same April weekend as Spring Carlisle. 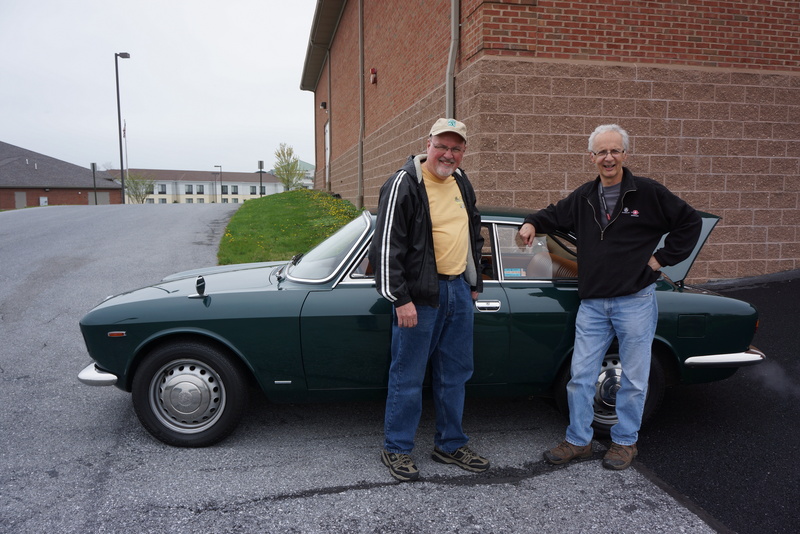 My good friend Larry and I made plans to attend the Carlisle show together, and he generously offered to pick me up at my house, drive me to Carlisle, then drive me to the Museum. There had been previous email exchanges with museum staff that I would show up sometime on Friday to get the car. Larry’s such a good friend that he stuck around to make sure my departure was OK. Upon arrival, there was one hitch: my car’s battery, which the museum had assured me would be charged up, was not. When I sat in the car to crank the engine, the revolutions were so slow that you could count them. 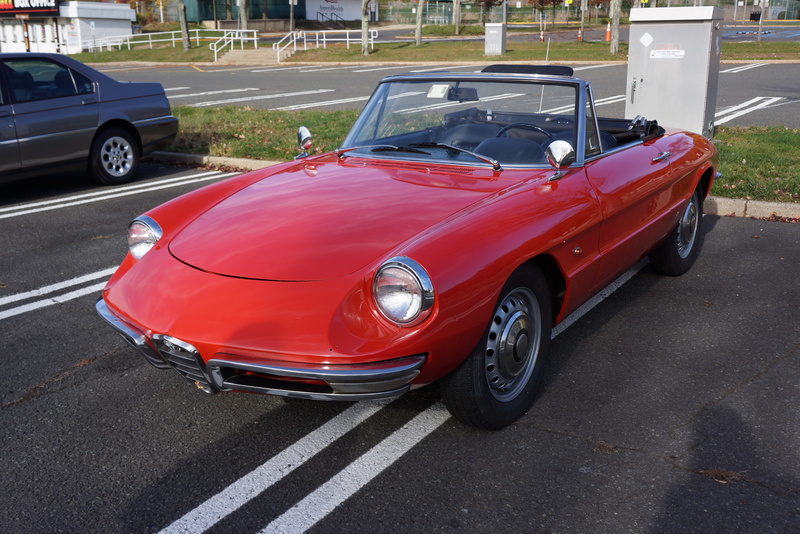 A 12V powerpack was brought to the scene, and the Alfa started right up. Any concerns about re-starting were alleviated when I turned off the car, and it immediately cranked back to life. Day #2 of the Carlisle Auction was in action on Friday, and I wanted to be there. I drove to the showfield, and parked in a private driveway (five bucks, thanks Rita!) 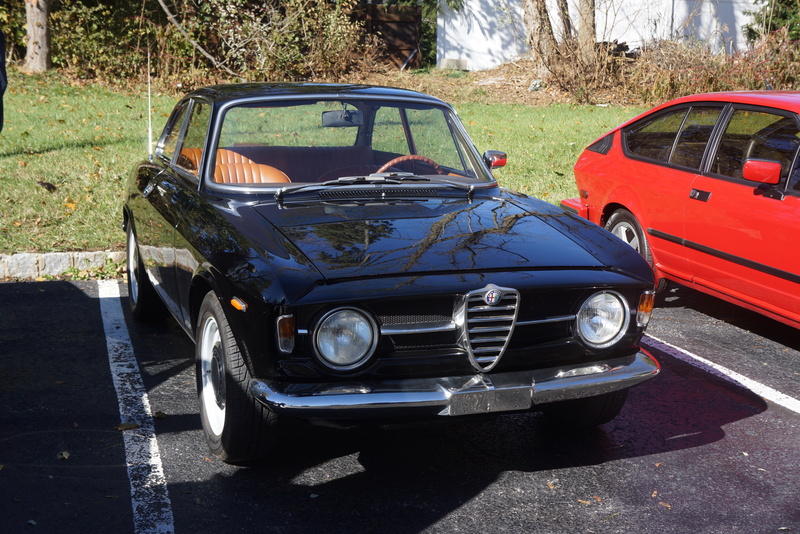 arranged by another good friend, Rich S. Then, back to my hotel Friday night, with the Alfa safely tucked behind the building. 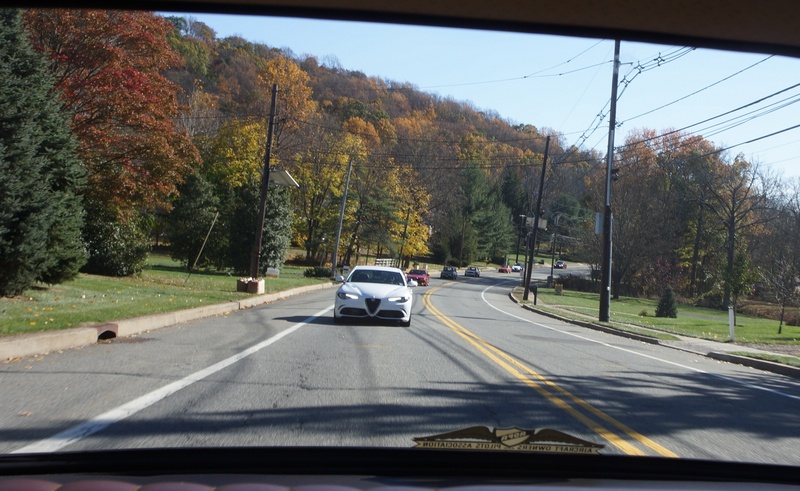 Saturday morning, up bright and early, and I was on the road again in the little Alfa. Traffic was surprisingly heavy along Routes 81 and 78, but I’ve learned to stick to the right lane and stay out of the way. At 155 inches and 2,000 pounds, my 1300 Junior would be flicked off the road like a pesky bug should an SUV or 18-wheeler make an errant maneuver. 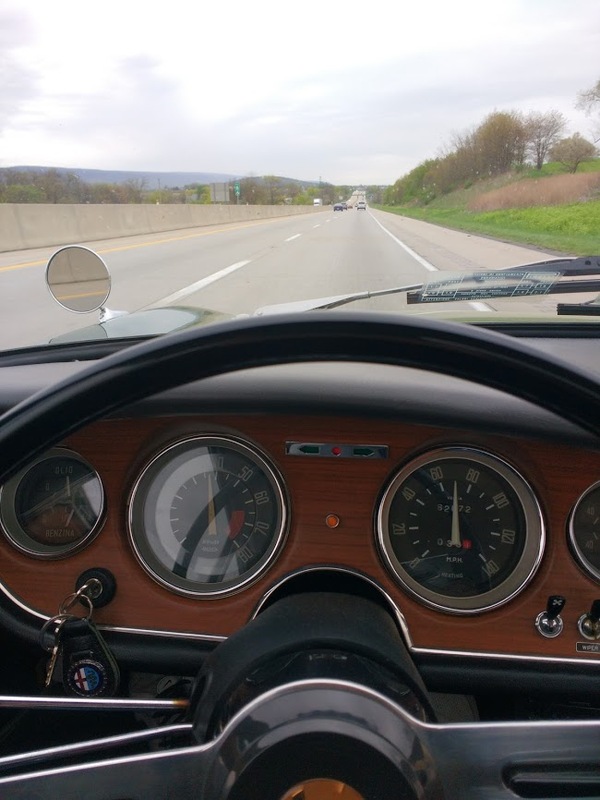 I-78 eastbound, somewhere in PA. At 70 mph in 5th, engine is turning just under 4k. The car ran beautifully the entire way home. 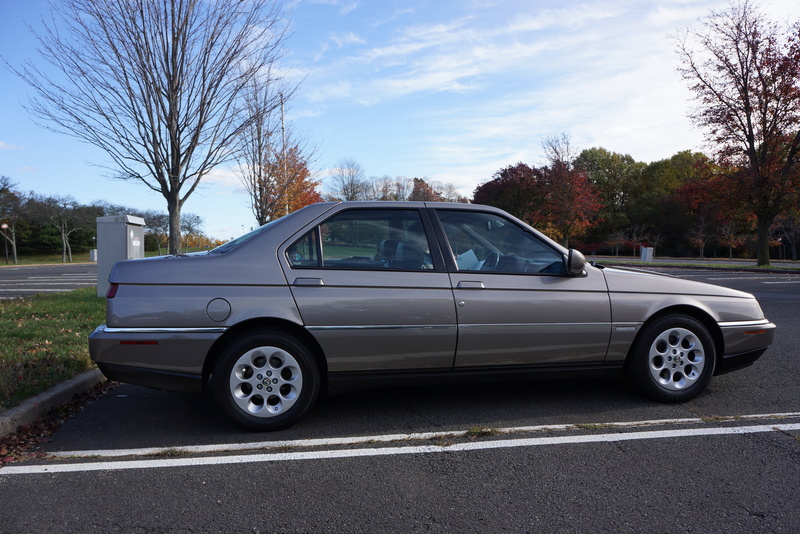 One hundred and thirty-four miles later, it was back in the garage that the car hadn’t seen since November of last year. Once some basic maintenance is attended to, we can start with the first of a number of events which have been scheduled for the car this year. 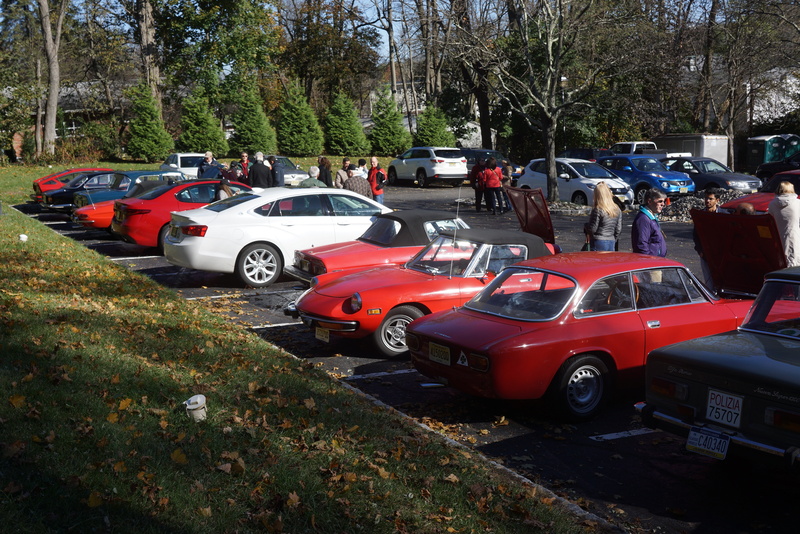 The New Jersey Chapter of the Alfa Romeo Owner’s Club held an informal Sunday cruise during the afternoon of November 6, 2016. 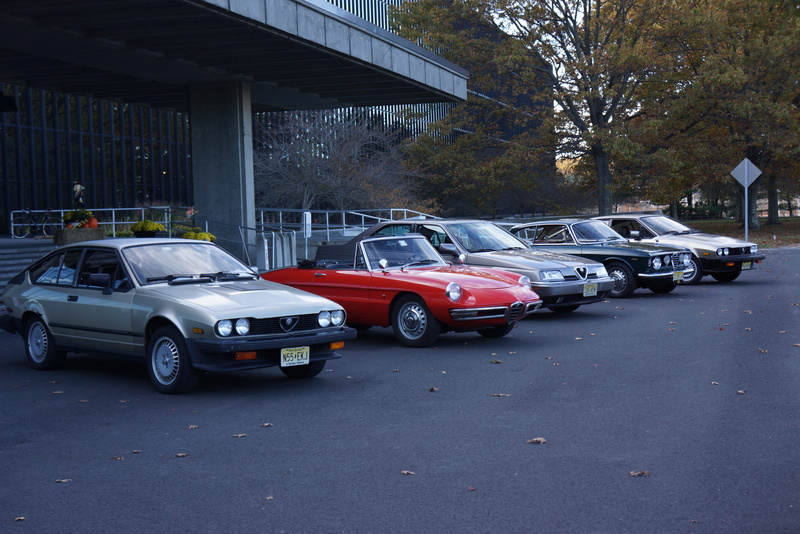 Five club members, led by our chapter head Enrico Ciabattoni, gathered at our starting point at the PNC Bank Arts Center in Holmdel NJ. 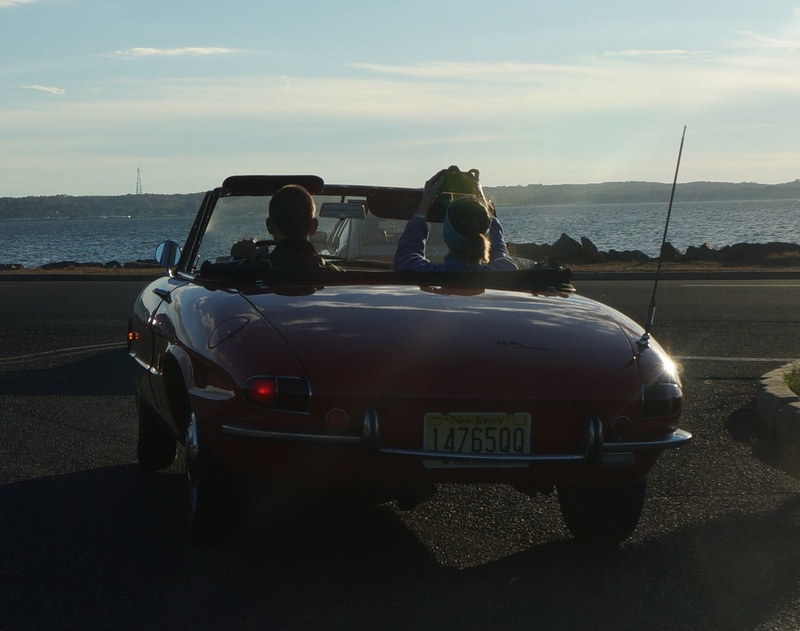 We pushed off around 2pm and cruised to various spots in Monmouth County, including Atlantic Highlands, Sandy Hook, and Colts Neck. 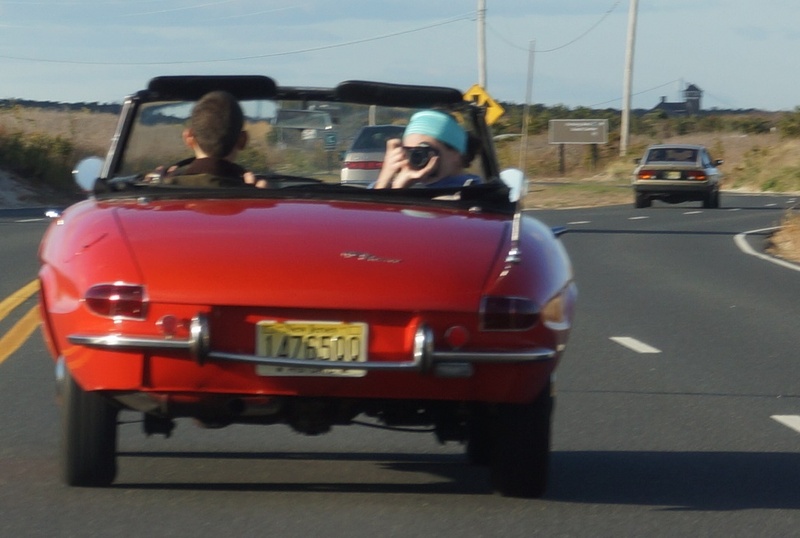 The oldest car in today’s contingent was the 1966 Duetto driven by Alex and Carly. 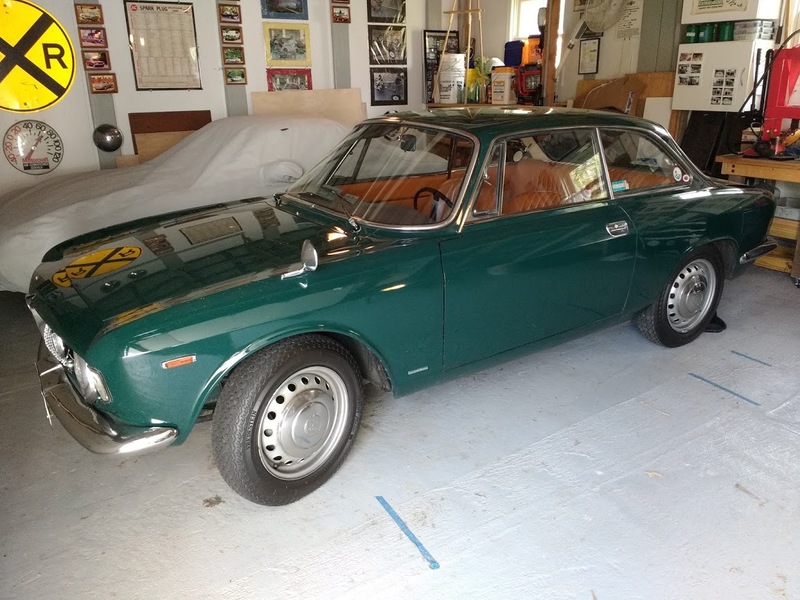 Richard’s 1967 GT 1300 Junior was just a year newer. 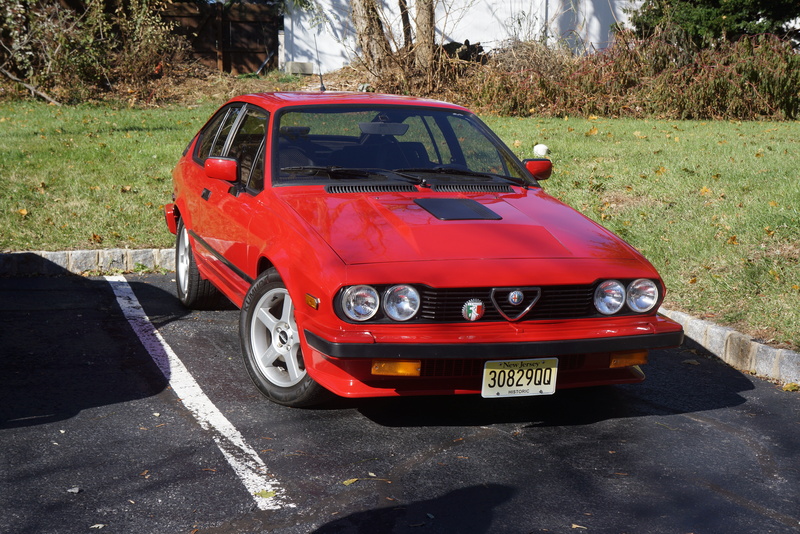 The eighties were well-represented by two GTV6s, Enrico’s and Bill’s. 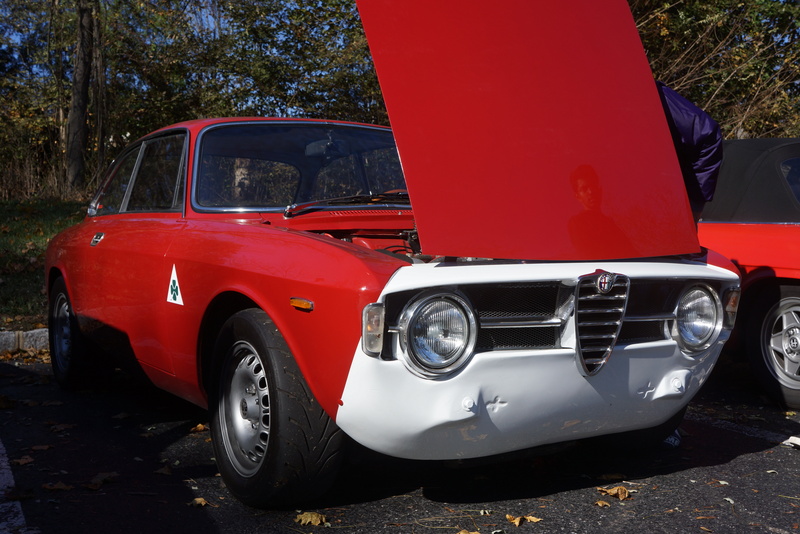 The newest Alfa for today was John’s beautifully-kept 164. 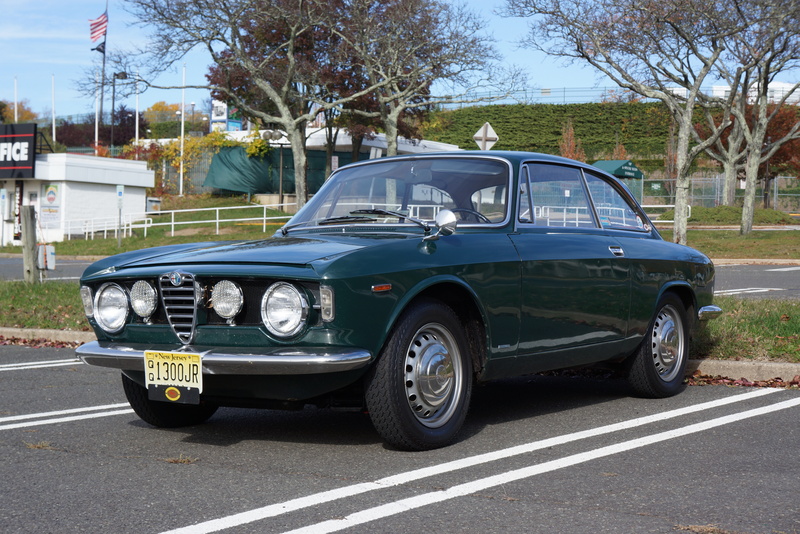 Alas, no new Giulia sedans showed up to surprise us. However, Enrico’s wife and daughter did a commendable job driving the sweep car in their Honda Odyssey. Thanks, ladies! Richards’ ’67 GT 1300 Jr. Plenty of time was allotted for photo ops (what with such gorgeous cars! 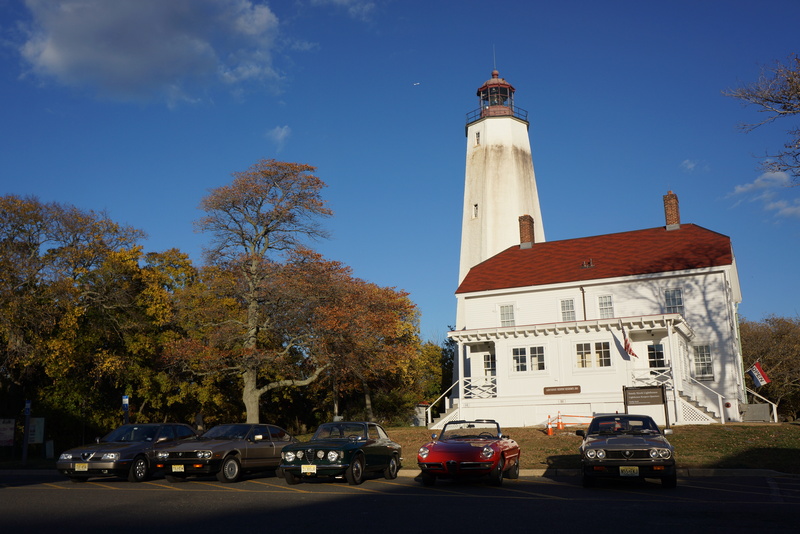 ), and a personal highlight was stopping for pictures at the Sandy Hook Lighthouse, the oldest operating lighthouse in the country. 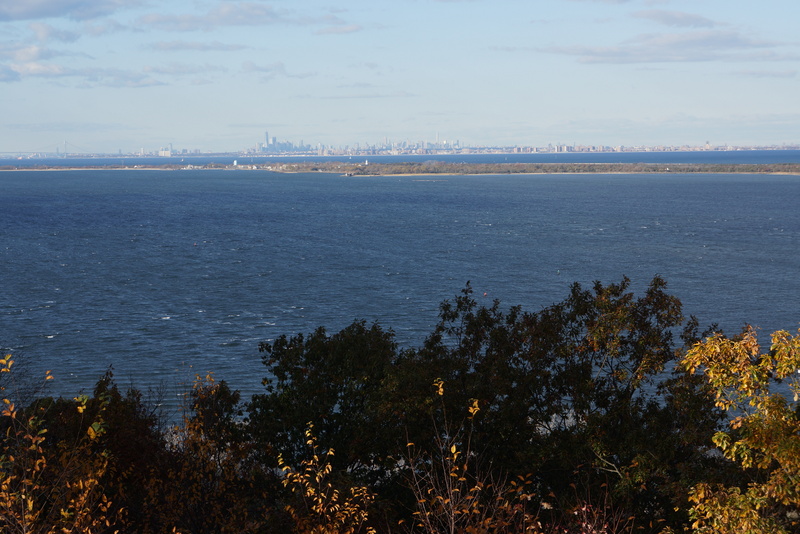 The cameras were not always aimed at cars; the vista from atop the Mount Mitchill Scenic Overlook in Atlantic Highlands provided glorious views of the New York skyline and lower bay. Our day ended at Delicious Orchards in Colts Neck, which also gave us a chance to pick up some produce (Enrico was spotted heading for the Italian chestnuts). Since it was the first day back on Eastern Standard Time, the rapidly-diminishing daylight had this scribe heading for home before sunset. 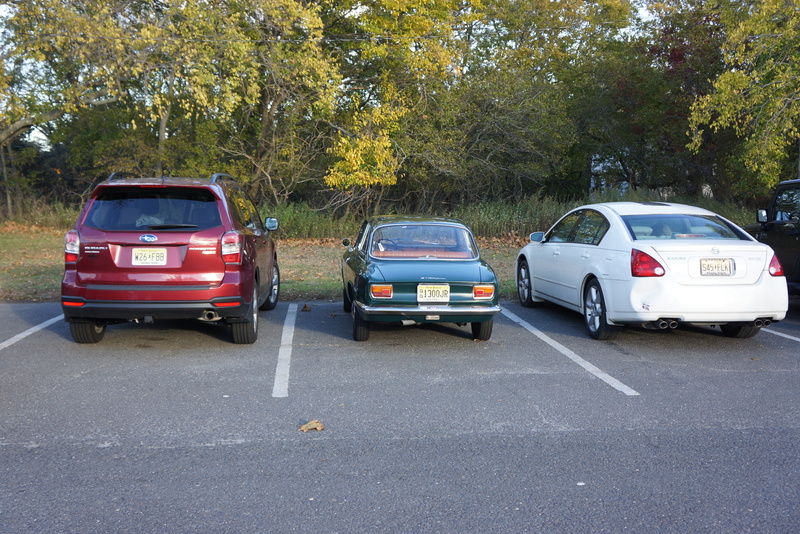 And you thought Subaru Foresters were small cars…. 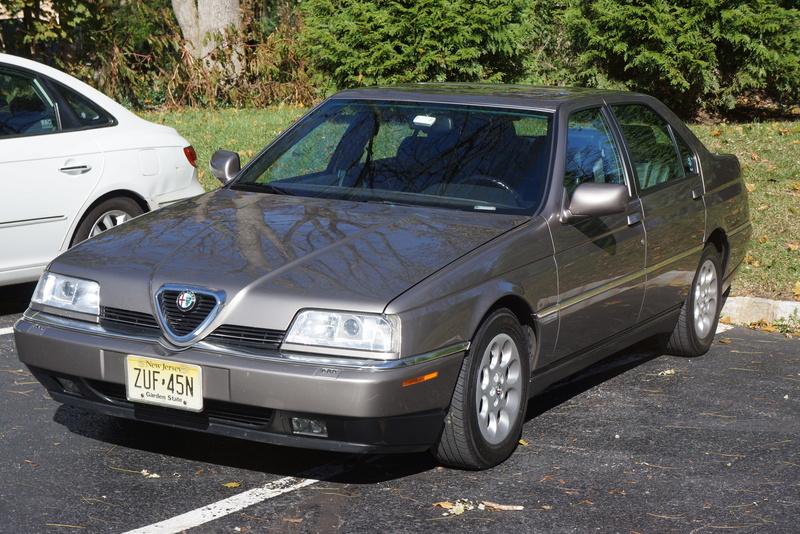 For those who doubt the reliability of Italian machinery: combined with this morning’s breakfast run, Richard’s Alfa was driven a total of 260 miles today, much of it buzzing along the highways of New Jersey at 70 mph, fending off soccer moms in the SUVs. 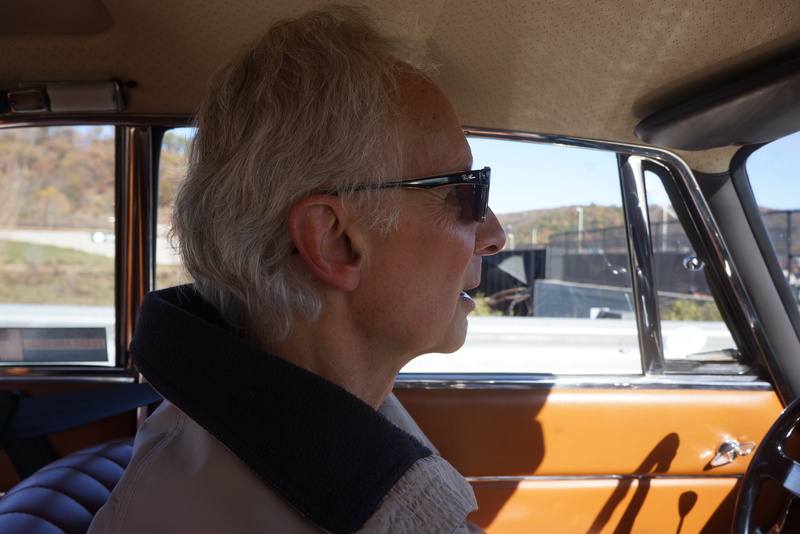 Not bad for a 49-year-old car. 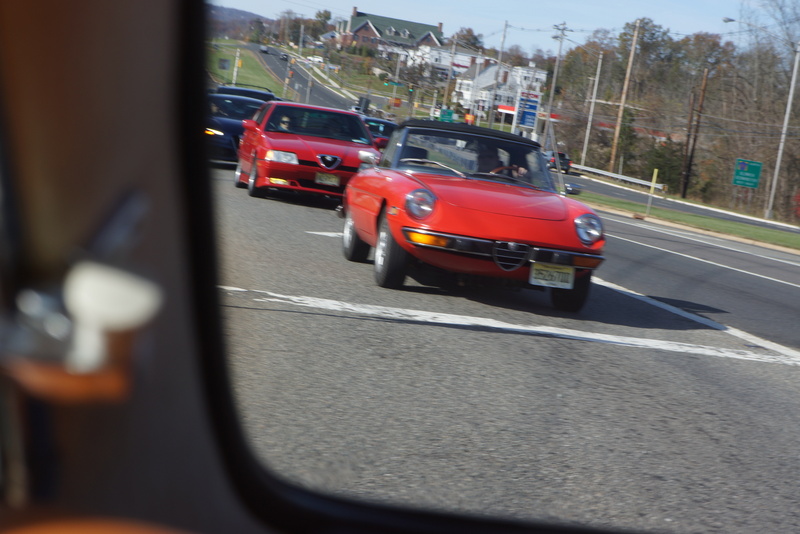 It was wonderful to be out with fellow Alfisti and to delight in the sounds of 4- and 6-cylinder engines in full song. We hope to get the group back on the road in early 2017.